This blog is about an enormous giveaway. But first I’ve got a little something to say. This month is bittersweet. 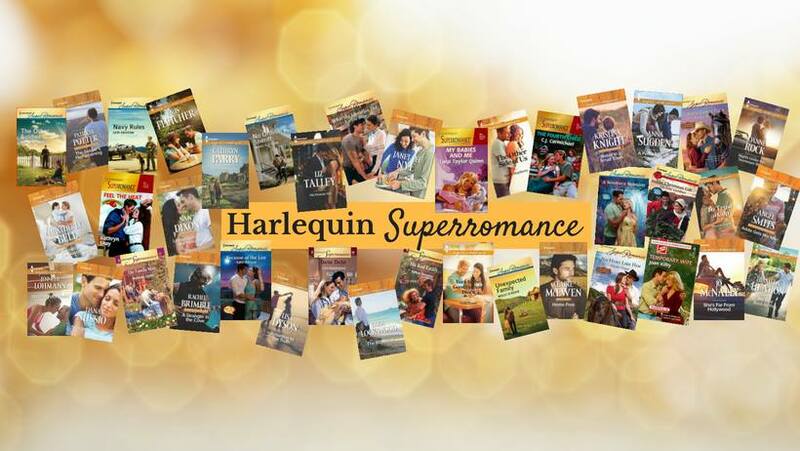 It’s the last month that Harlequin Superromance will ever be published. Why does that matter so much? There’s the sentimental reason. This line gave me my start. An editor saw my half-formed story and took a huge chance on me, the greenest of all writers. She taught me how to turn my disconnected ideas into a real romance. I owe her so much that I’ll never be able to repay. It’s also the end of a really special group of stories. Superromance helped me understand what I love about romance. These were transformative stories, and our editors allowed us to play with big ideas. Ideas like, what happens when a man gets out of prison and tries to make amends? If someone truly was a bad person, how much can they really change? Those ideas took my book Home Free from a crazy idea that most people said could never work, to a multi-award-winning book. And all because my Superromance editors believed in taking risks, and in bringing these types of complicated love stories into the world. So there’s a lot of bitter, at the idea that it’s really and truly over. But there’s also the sweet. My heart is full of gratitude. For the incredible editors I got to work with and learn from. For my fellow Superromance authors. Many have become dear friends and they are a lovely community of colleagues. 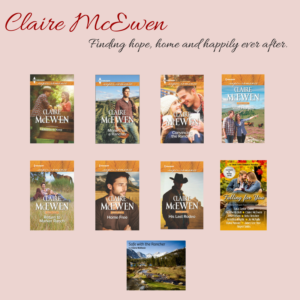 And for my readers, who stuck with me as I grew into my writing, and who have hung in there as I figure my career out, now that Superromance is gone. So where does the giveaway come in? This big series of big stories deserves to go out with a big bang. 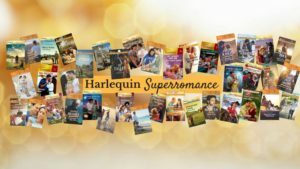 So the incredibly talented author, Tara Taylor Quinn, who I believe has written over 50 Superromance books, organized over 35 Superromance authors to do an enormous giveaway. 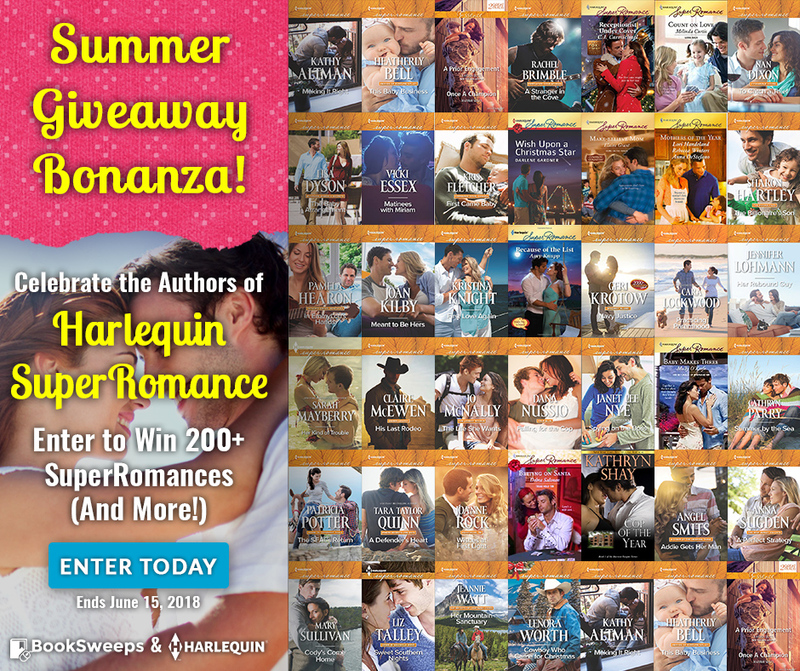 We’re giving away over 200 books! How does it work? When you enter the giveaway, you will have the opportunity to join our mailing lists. That will give you the chance to stay in touch with your favorite Superromance authors. And many of us are offering a free e-book for you to read, when you sign up for our mailing list. I’m offering my fall novella, Her Hometown Cowboy, which was a part of our Falling for You anthology. 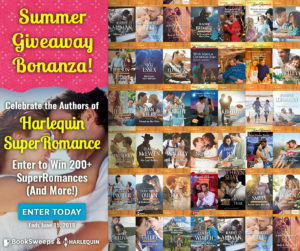 The Grand Prize winner will receive 100 paperbacks, plus an awesome vintage stationery set courtesy of Harlequin! Four other winners will also receive books. Good luck and enjoy! And I’ll leave you with this. 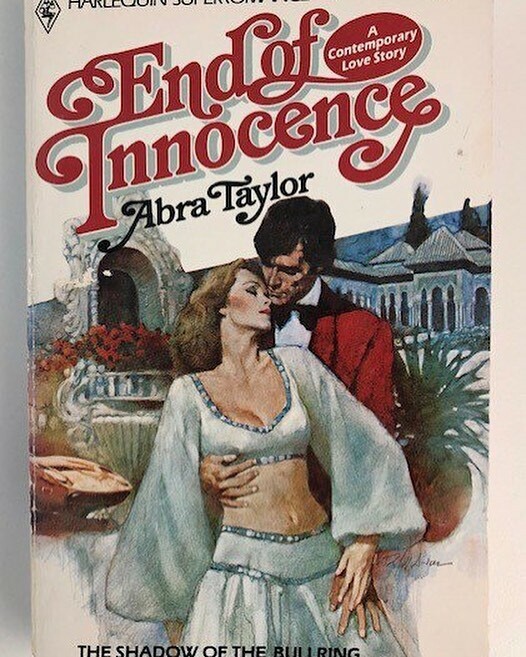 The cover of the very first Superromance! Published in 1980. 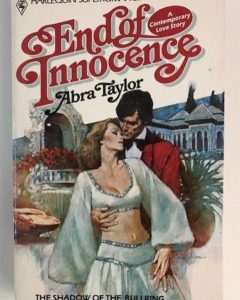 It’s amazing to think about how the line evolved, and delivered great romances for almost forty years! ← Follow Your Inner Moonlight.